If your company needs to setup an outbound call center, here’s a quick checklist of technical things that you should consider & the technical aspects that we can help. Firstly, your call center is run by human, so you will need devices to record the user’s time attendance. There are a few solutions for the call center to record attendance. 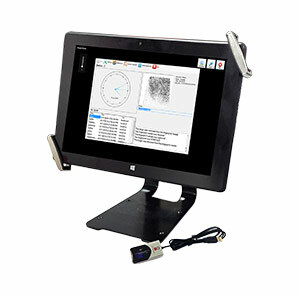 Here, we recommend a finger print reader software, because most of the time, call out performance is measured by numbers of customers called or number of success case. For time attendance, you can use our time attendance module which is offline and able to sync data to online from your call center, if internet is available and set to sync. Conventional telephone uses analog phone lines to provide phone service, each phone line is capable of one channel at one time. That means one person can call out or answer phone call at a time. So, to setup a call center, you need to decide how many concurrent call out channel you need. However, if you subscribe to VoIP services, you shouldn’t be worrying about out channel as VoIP is running on digital internet, the is no hardware limitation to the channels. It is scale-able, so you are able to add as many seats or operators to make out going calls as you want. Depend on your call center, if you want to receive phone calls, you need to provide a number or users to call in, depend on how many estimated traffic, you decide how many phone lines should be put standby for users to call in. There are two types of IN channel available. Subscribe to DID numbers for users to call into the VoIP network. Subscribe to telephone companies phone numbers, and pull physical cables into the office. With the VoIP, we are able to expand without involving any hardware changes, but most of the time, phone cables pulled from telephone companies require you to modify your IP-PBX. When your agent make calls to customers, you want to display phone numbers as Caller ID so that the customers can call back. The ability to modify Caller ID is also a technical concern when you setup call center. IP-PBX or server is use to distribute calls to phones. If you are doing inbound call center, the IP-PBX is important to record all the calls, waiting time, and etc. If you are doing out bound call center, all the IP-Phones, or soft phones will be connected to the IP-PBX and to make calls out. Every calls, in or out are recorded in CDR (Call Detail Records), and the CDR is very important for reporting and analysis purpose. Softphones are software installed into the PC for calling purpose. Your agent can answer and make calls via the computer. 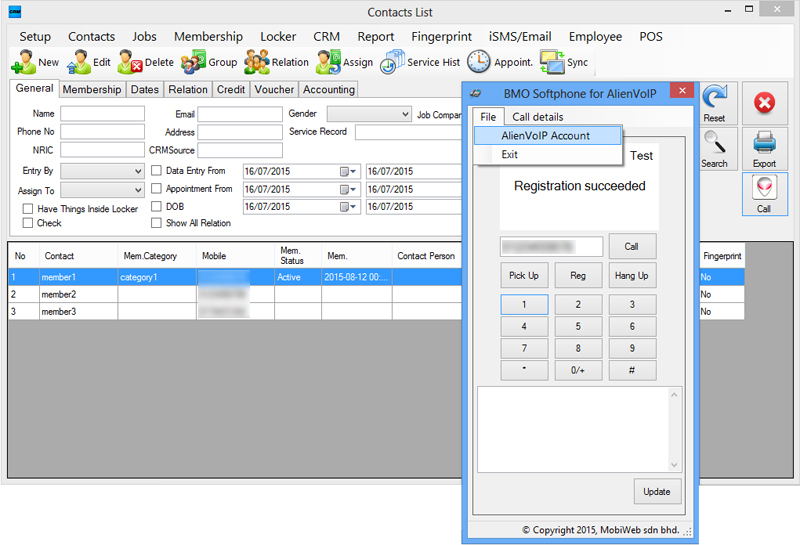 AlienVoIP provides an offline CRM with integrated softphone inside. 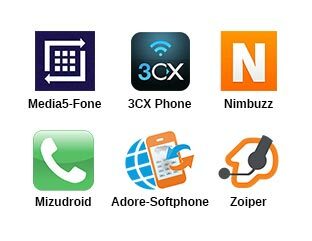 By using softphone, you can eliminate the IP-Phones. 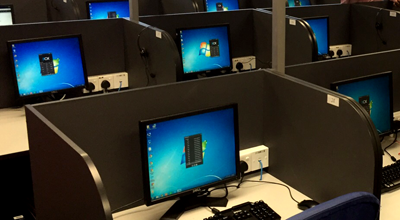 Typical call center prepare each seat a computer for receiving calls and calling out. This computer shall loaded with the application or web application of CRM to update customers information upon calling. VoIP uses network, there are some key factors you should take into consideration. Shared network, please provide enough bandwidth for VoIP and multiple concurrent calls. Security if VoIP will be hijack or hacked. Headset is needed because your operators will be entering data, searching data with their PC while making calls. Call Center Headsets are available for PC or IP-Phones. Let operators update the customers records. With our offline CRM client and call predictive dialer, you are able to assign contacts to operators. Let them update the customers information, share the data and etc. All calls can be recorded inside the IP-PBX and can be downloaded as voice file to play inside PC. Depend on the size of your hard-disk, you can download recorded files into your hard-disk for archive. While operators making calls, they will need to update and search customers information. Therefore you should have CRM system in place. Currently we do provide two types of CRM, which are offline and online cloud based. 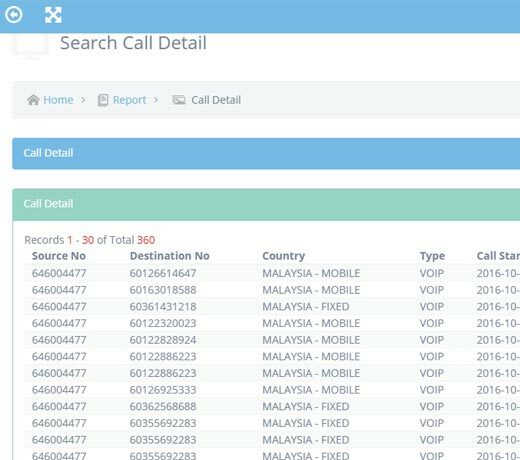 Call detail records are stored inside the IP-PBX. 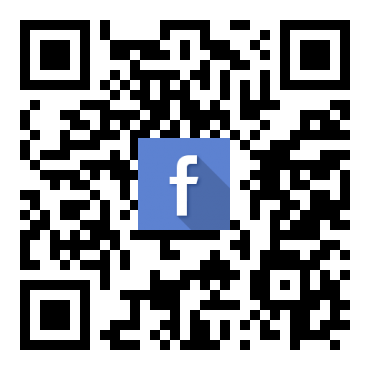 You can download the CDR for analysis purposes. You can use Excel for data analysis purpose. We are here to help you on your reporting needs. If any reports that you need is not available, please do let us know to help you add into the system. Call center industry can be challenging these days because of the different requirements for call campaigns. 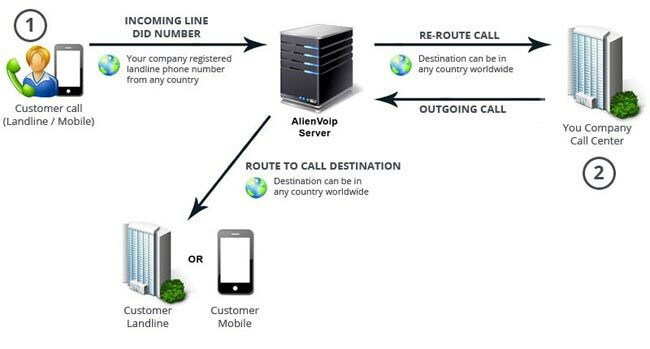 AlienVoIP Call Center provides a great features with long uptime and reliable service. It is an cost-effective option for businesses to manage their incoming and outgoing calls. In a VoIP call center, data packets run over Internet Protocol, rather than the traditional switch network. Instead of owning, hosting, or operating on the equipment, clients only pay us on monthly basic with minimum of 6 months subscription. This allows call centers to pay for only the the minutes that they use, rather than investing in hardware and facilities, making it a much more affordable solution. You are able to process thousands of call per second and optimize your account for call center traffic by using a separate rate table to suit your company’s budget. AlienVoIP supports high-volume call center traffic to more than 200 countries worldwide such as India, USA, UK, China and Australia. How VoIP Call Center Works? Calls received from client will be routed to your registered call center number (Any number of your choice in any country). Client will be directed by automated attendant- IVR (Interactive Voice Recorder) which they can input their own inquiries via keypad. 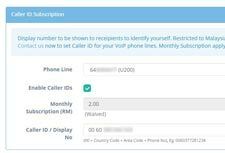 Outgoing calls made by your call center will be routed to your client’s mobile or fixed line.Calls will be charged according to the selected destination calling rates. Note: No monthly subscription fees for AlienVoIP prepaid plans. Please make sure you have sufficient credit to make calls.